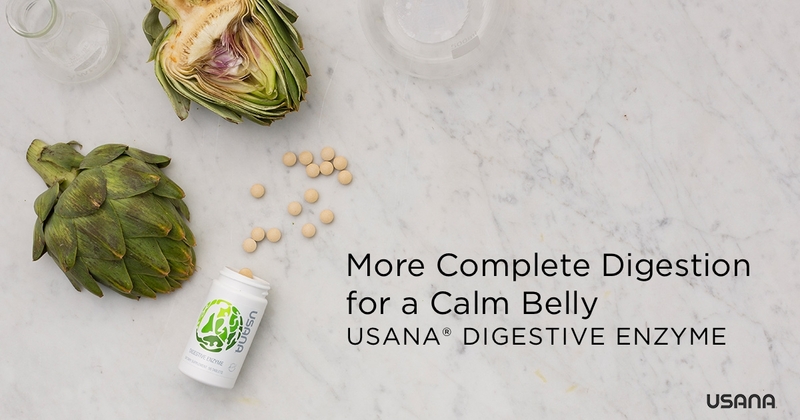 Get the most out of your meals and relieve digestive discomfort with a blend of plant-based enzymes and artichoke extract. 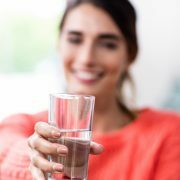 3 Gut Check: Do You Need USANA Digestive Enzyme? From the moment you see, smell, or taste food, your mouth starts to water and your body’s complex digestive process begins. 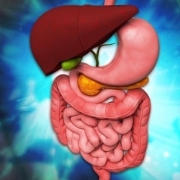 After chewing and swallowing, food travels through your stomach, intestines, and on down the line. It’s broken down into the many substances your body needs to support your health and fuel your daily activities along the way. Your digestive enzymes are one part of the digestive process. They’re substances that help break down and convert your food into the compounds your cells are hungry for. 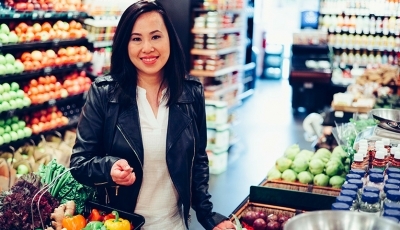 Your body naturally produces enzymes throughout the digestive process—including in your saliva, pancreas, and liver—that help break the large molecules of fat, protein, and carbohydrates into smaller pieces. 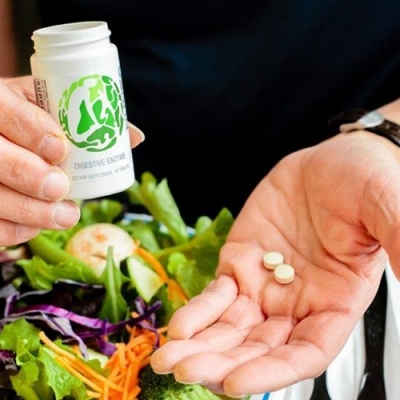 When you have normal, healthy enzyme function, your body digests meals efficiently, so macronutrients can be absorbed and used by your body. It makes sense, because if your food is broken down fully, you’ll be more likely to get the most nutrition from what you eat. Your natural digestive enzyme production can slow down as you age. This could cause you to experience occasional episodes of mild bloating, gas, or discomfort after eating certain foods or large meals. 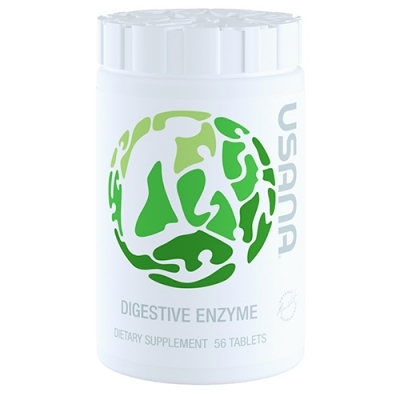 Gut Check: Do You Need USANA Digestive Enzyme? 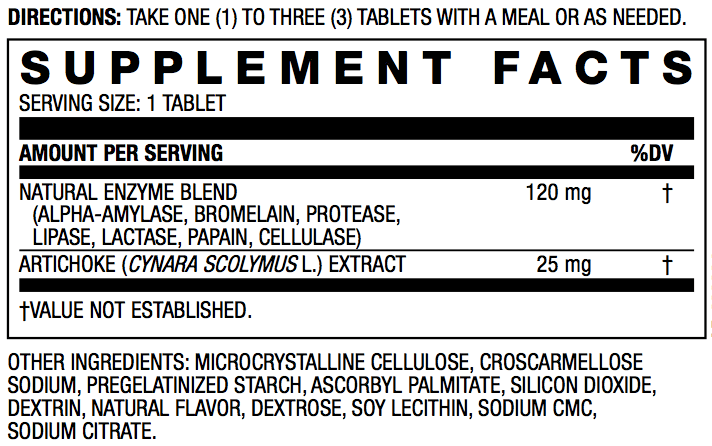 Take one (1) to three (3) tablets with a meal, or as needed. 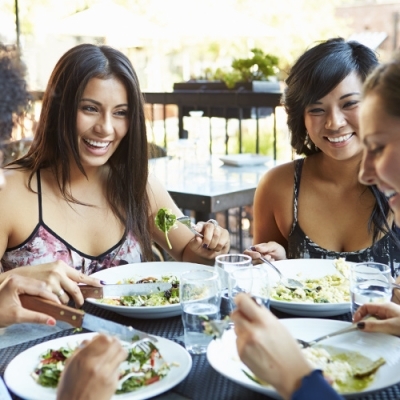 What is the natural flavor in digestive enzyme? 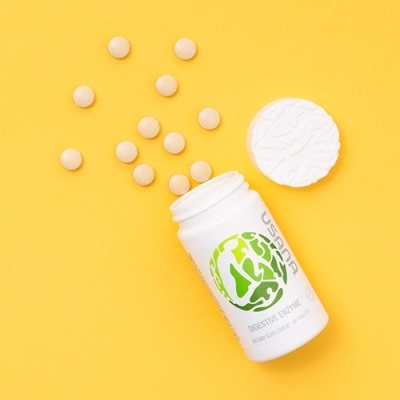 The natural flavor in USANA Digestive Enzyme is vanilla. It is also used in a couple other products to mask unpleasant flavors of the raw materials. There is nothing hidden in the vanilla flavor, and it does not contain MSG or any ingredient of concern. It’s an internal battle you may face each day. What can you do to battle your food addictions and stay on a track to be as healthy as possible? 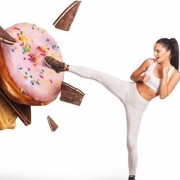 Find out how to fight the draw of some of the most addictive foods out there. Your body needs proper hydration to function at full capacity. Drinking water throughout the day is just as important to a healthy lifestyle as eating the right foods. Keep your body running well with healthy hydration.